An original design classic is the result of a close relationship between designer and manufacturer. Only those who acquire the necessary licenses and trademark rights, and thereby assure that they strictly adhere to the concept and ideas of the author in the production of the object, i.e. can be formally licensed to manufacture and distribute a specific design: the original. Real design furniture is high-quality, stable in value, durable and created in the sense of the author - whoever invests in an original is investing in a piece of design history. How do I recognise an original? Originals differ from plagiarism through quality of materials, clean workmanship and certain markings such as certificates of authenticity and manufacturer logos on the underside of chairs. Some design classics also have an authenticity label with a stamp featuring the designer's signature or an identification number. Buying an original always pays off. While counterfeits are made of inferior materials and have numerous defects, such as inaccurate assembly, irregular colour gradients, adhesive residues, etc., originals stand for value stability and high quality. Last but not least, the purchase of an original shows true understanding of design and ultimately honours the property of the intellectual author. 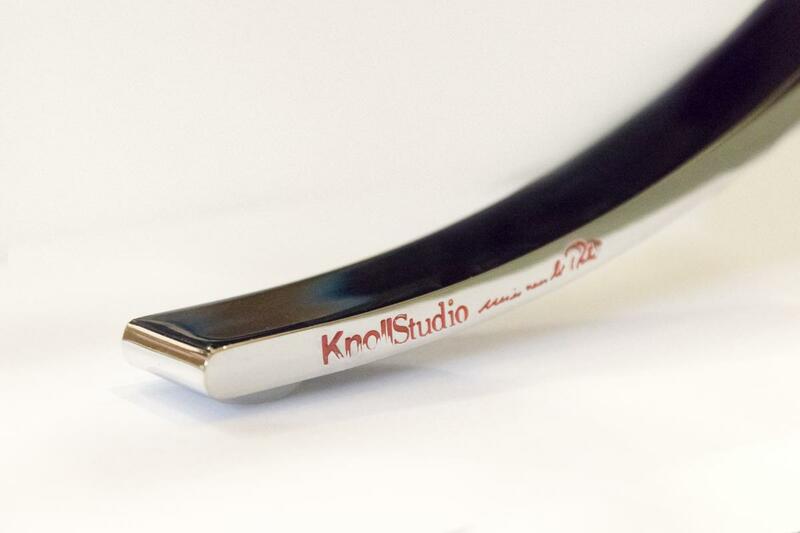 Ludwig Mies van der Rohe's signature and the Knoll Studio logo are embossed in the leg of the Barcelona Lounge Chair. This imprint proves the highest quality standards of material, workmanship and fidelity to the original. Knoll International owns the manufacturing rights for the entire Barcelona collection. The original impresses with its clean welded, chrome plated steel tubes, which can only be produced using special tools at Classicon. The precise curves guarantee the perfect position of the Adjustable Table. A manufacturer's certificate stamped into the steel tube and an almost invisible sticker on the crystal tabletop prove the purchase of an original. 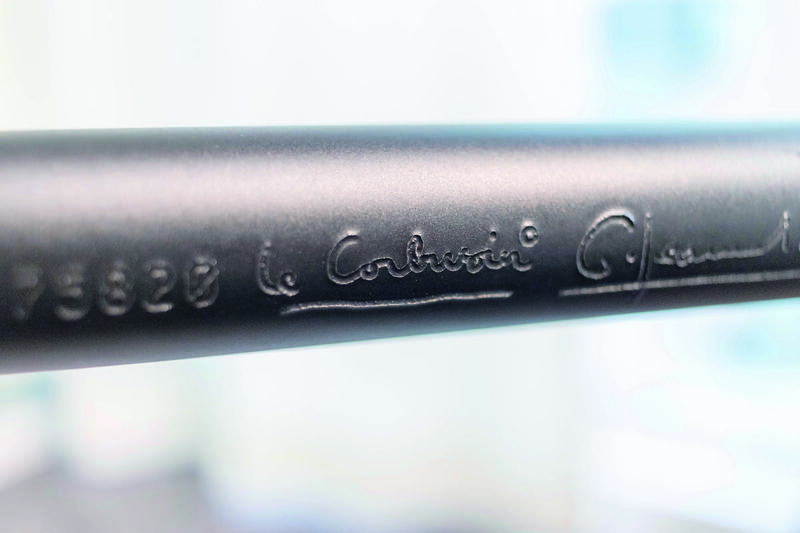 Furniture of the LC Collection can be identified as originals by the "Cassina I Maestri" lettering, the author's signature and their production number. Alone Cassina has the production licenses of the Le Corbusier classics and guarantees a strict implementation of the original design. 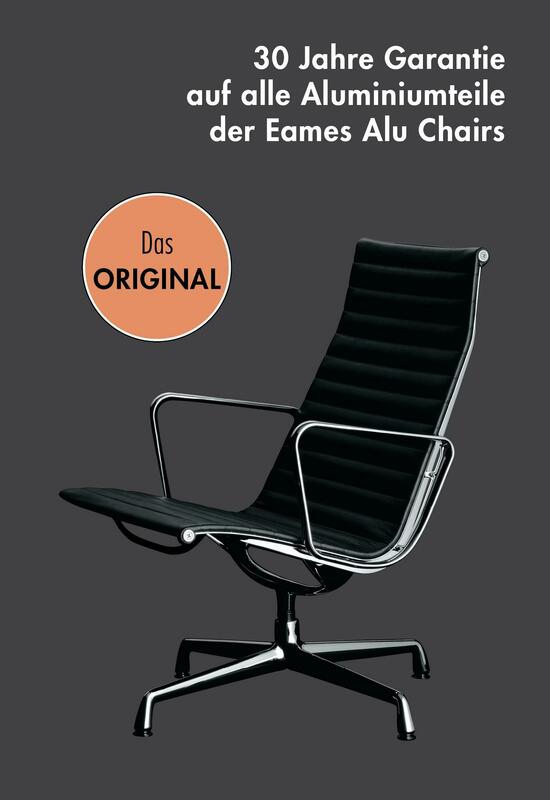 Design classics such as the Vitra Lounge Chair by Charles and Ray Eames or the Barcelona armchair by Ludwig Mies van der Rohe impress not only aesthetically, but above all because of their extraordinarily high quality. Thus, wood and covers are carefully selected by the licensed manufacturers and processed until they meet the high demands on the quality of the product. All processing and assembly steps are carefully planned and carried out by specially trained staff. To make this transparent, visitors to the Vitra Campus in Weil am Rhein as part of production tours or in the Lounge Chair Atelier are offered the opportunity to take a look behind the scenes. But design classics are not just concerned with maintaining the status quo: Vitra recently readjusted the seat height of the Eames Plastic Chairs to better reflect on current average body dimensions. And ecological aspects are given special attention in the production of designer furniture. Many manufacturers only use FSC certified woods or recyclable materials. In addition, every piece of furniture is subjected to a rigorous quality inspection, thus enabling an extremely long service life. In this sense, Vitra grants a 30-year warranty on the Eames Aluminum Group and Classicon's 20-year manufacturer's warranty on the classics of Eileen Gray. 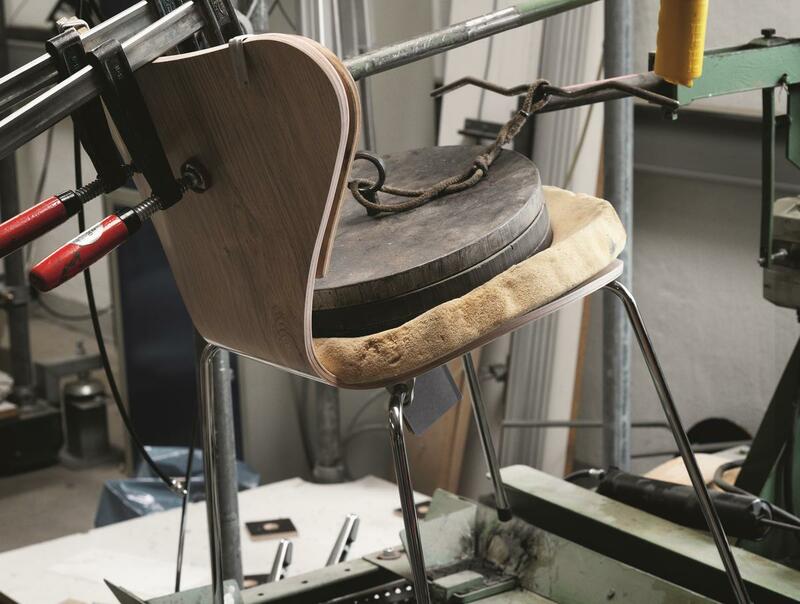 A Fritz Hansen Original must meet high quality standards in order to be called Fritz Hansen Original. Top design, high-quality materials and perfect workmanship characterize the furniture of the Danish manufacturer. Danskina carpets are characterised by a combination of innovative manufacturing methods and traditional craftsmanship. For the tailor-made Danskina Originals only the best materials of outstanding quality used. At Thonet, the highest manufacturing standards are a priority. The furniture classics are all made in Germany and have to undergo elaborate quality checks. Anyone who buys a Thonet Original can be sure of its longevity. Standing as the "first chair of one piece", a world without the Panton Chair is unimaginable: yet the path to it was long. Verner Panton worked on an S-shaped cantilever chair back in the 1950s - initially using moulded plywood before turning to the then novel material plastic. Panton designed the first prototype in cooperation with Dansk Acryl Technik; however, this was hardly suitable for sitting. Looking for a manufacturer with which he could bring his design to series maturity, Verner Panton initially had it not easy - 15 different manufacturers are said to have rejected the project before finally Rolf Fehlbaum, son of the Vitra founders, brought the development to Switzerland out of sheer enthusiasm for Panton's design. After numerous experiments, in 1967 the first prototypes were made of glass fiber reinforced polyester. In 1969, the polyurethane cast foam "Baydur" cast in one piece in series, but since the production proved to be very expensive, and so in the course of the 70s, the production switched to thermoplastic injection molding. However, this could not withstand a dynamic load permanently and Vitra finally had to stop production in 1979. Today, Vitra produces the Panton Chair Classic as a re-edition of the complex, but unbreakable, rigid polyurethane foam. 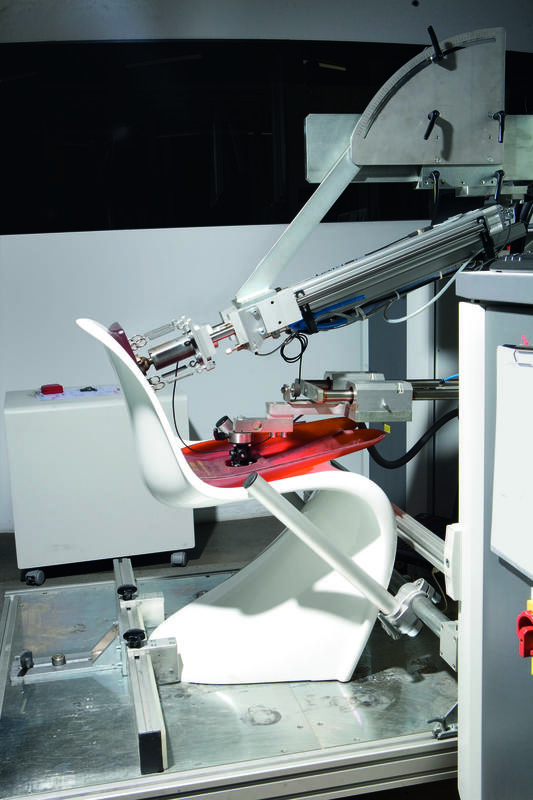 Thanks to new injection moulding options, Vitra and Panton also developed a Panton Chair made of polypropylene in the 1990s, which has been on the market since 1999. In addition, the children's version Panton Junior was created, and new special editions of the design classic by Vitra are regularly released.